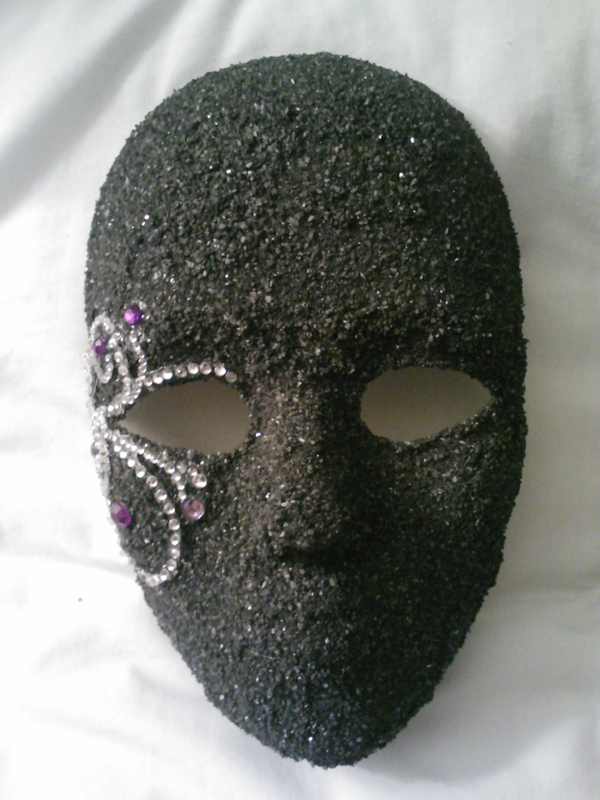 As you can see, my wife has been making some serious progress on the Legion mask that will be showcased in the cover design for Black Earth: Dark Masquerade. 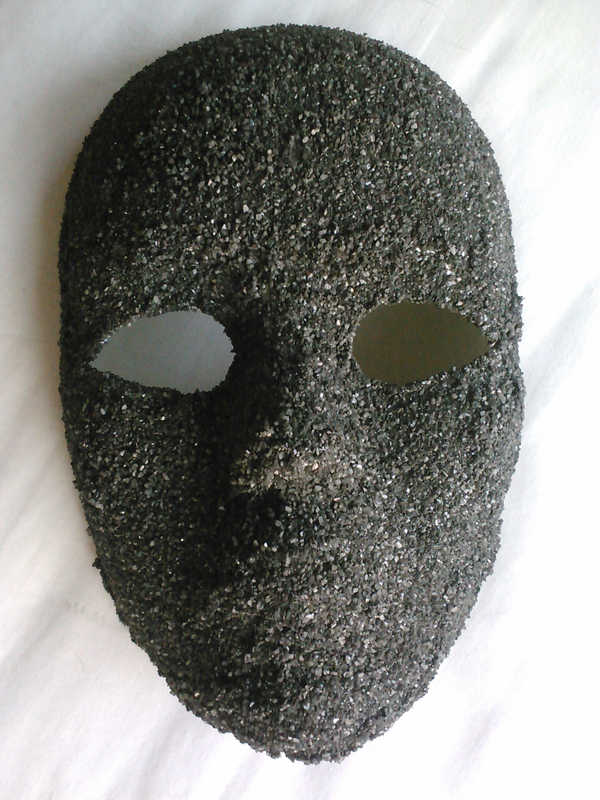 Taking the supplies we purchased at Michael’s craft store (highlighted in this post), my wife applied glue and the black sand to the white mask, giving it the stone look. 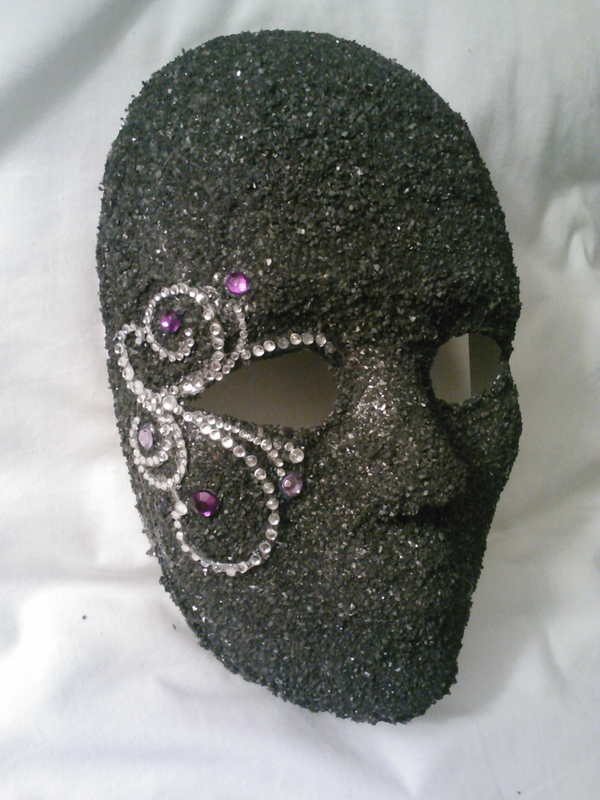 From there, she added the rhinestone design, including a premade string of white gems with some violet embellishment. Out next step is to add the feathers to the opposite side, in the head area.